The first stage in our Year of Speaking Kindly challenge (I’ll be taking part too) will involve us taking a closer look at the way we speak about other people. 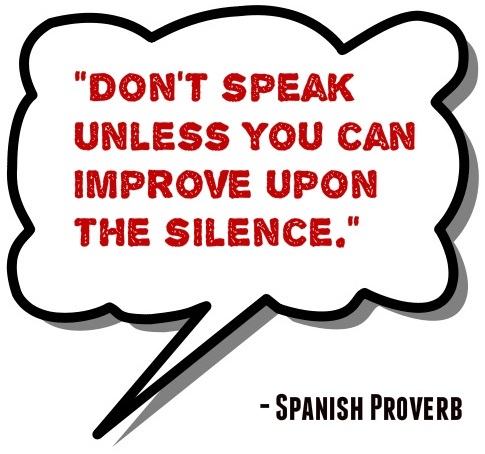 Starting today, for the two weeks remaining in this year (2014), I’m encouraging you to pay extra attention to the way you talk, the words you use and your tone of voice when you discuss people who are not present. It really doesn’t matter who you’re with at the time or who you’re speaking of, whether it’s family, friends, colleagues or even strangers, please just notice what is said and the tone of voice used. Look to see whether there is any praise, blame, mocking, exaggeration, lying, undermining, cruelty, judgements or if it’s simply a conversation occurring about others in a factual (neutral) tone. If and when you or others do speak unkindly, mentally take a note of whereabouts you are when it occurred, any feelings present within you before and during the conversation and who else was involved. Difficult as it might sound, please try not to judge yourself too harshly during this process when you see that you have been unkind. Putting yourself down and feeling bad about it is not the point of this exercise. Just watch what actually happens and how you and the other people in your life speak about one another. The two-week period of ‘watching’ our words is simply a gentle warm-up for the main part of the challenge. Are you ready? On the 1st January 2015, we ( or just me if no-one else joins in) are going to make a promise to ourselves that we will NOT willingly talk unkindly about other people again. That’s right, for at least twelve months, we are going to practice speaking with kindness. Now, just like all New Year’s resolutions, there’s a very good chance that we’ll break this one and on more than one occasion. 12-months is a long time after-all. 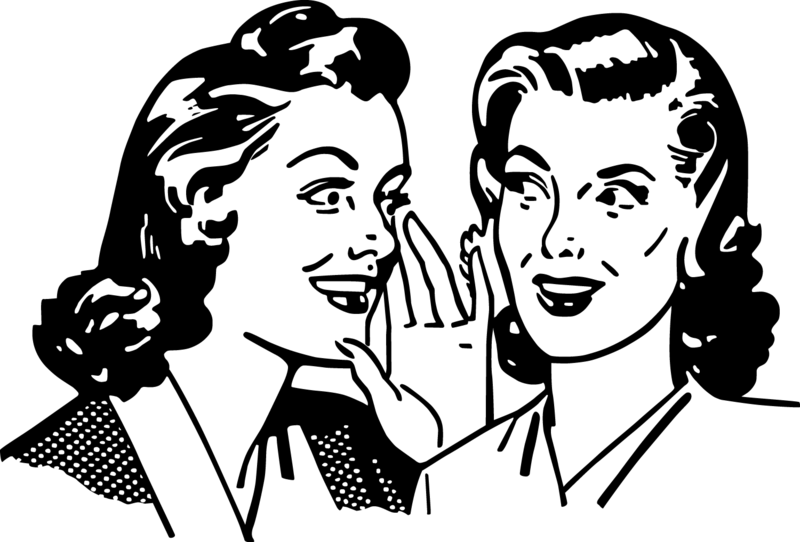 Life will surely present many situations where we might feel like the odd one out if we refrain from gossiping. However, I did say this would be a challenge, didn’t I? So, when, not if, we do slip and say something unkind, this ‘failure’ to speak kindly will not be the end of the challenge. That would be far too easy. Instead, when we get it wrong, we will gently reflect on what happened, whereabouts it occurred, any feelings we can recall that were present and who else was involved. That’s it. Simple eh? When we fall off the ‘speaking kindly’ horse we must jump right back on and continue our journey of mindfully practicing kind speech. The challenge will no doubt bring up some difficulties for us. For example, many years ago, when I was a younger man, I worked in an environment where backbiting, gossip and malicious laughter at others’ expense was the norm. Nearly every single day it would occur and almost everyone would be mean about everyone else. No one was spared the viciousness and I admit that I shamefully took part in some of those conversations. I laughed about other people. I said unkind things. I judged them, mocked them and occasionally was really hurtful. Upon reflection it seems that I said things about other people to make everyone laugh, to make myself feel better about who I was, to make me feel superior in some way, to detract from my own issues and failings or maybe even just to have something, anything to talk about. After I had been unkind and said horrible things about my colleagues, I would be nice to them when I next saw them. 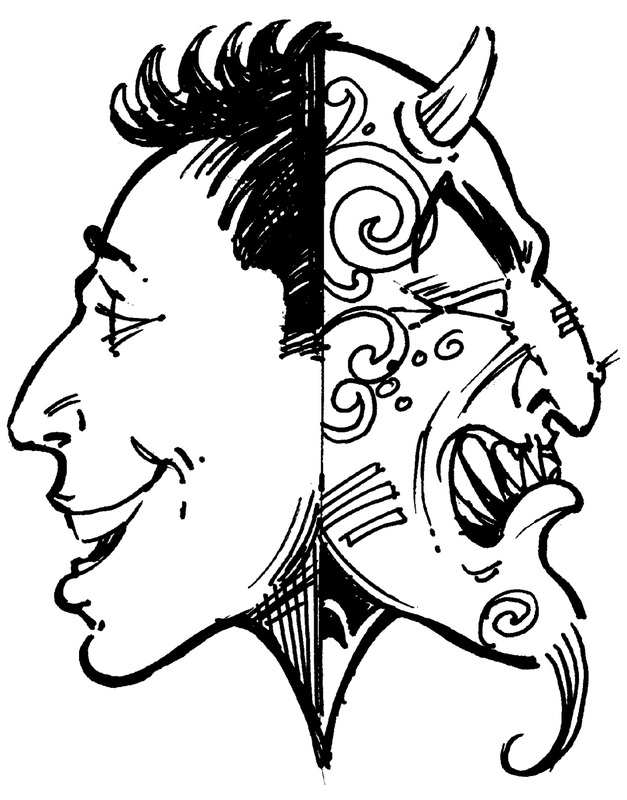 How two-faced is that? I also have no doubt whatsoever that I was the target of exactly the same abuse on many occasions when I wasn’t around to hear it. That’s the way it goes, it seems, because if people talk about other people to us, they probably also talk to other people about us. That’s a sobering thought isn’t it? Once people get used to the idea that we’re not into saying mean stuff, or gossiping, about others behind their backs, the amount of negativity they talk around us will slowly but surely decrease. I’ve seen this firsthand in my own experience. It works like magic, just watch. The reason for this is simple. It most certainly isn’t as much fun, or as comfortable, to talk badly of others unless everybody present is doing it. If even one person there doesn’t join in the ‘fun’ then others are far less likely to take part. Thus, our decision to stop speaking nasty and our family, friends, colleagues or even strangers’ eventual reaction to us not reciprocating with similar behavior will positively affect us and them, as well as our respective relationships. People will trust you and think a lot more of you if they haven’t listened to you gossip about other people. How does that sound to you? Does it make sense? When you choose noble silence in the face of an abusive conversation, you will be viewed as a more positive and trustworthy person. During this challenge we will not be judging those who are backbiting or feeling superior to them in anyway. We will simply be doing something because it is absolutely the right thing to do. Some people may not like the fact that you’re not joining in, but we cannot really control others can we, just ourselves, so it’s not worth worrying too much about. Based on my own experiences, the wide <—-> gap that gossiping used to fill will, slowly but surely, start to be replaced with more interesting and/or intimate conversations. We often use the subject of other people to cover up our own uncomfortable feelings during conversation or to pad out that ‘awkward silence’. In this regard I suggest to you that silence, awkward or not, is a better, kinder option than being mean. What say you? So…from today, we are going to observe our conversations in a deeper way than usual. Let’s reflect on the things we have said or left unsaid. Let’s notice our feelings during conversation and any urges that arise to speak negatively. Let’s start this watching as an eventual aid to being kinder, calmer and a better person. I will be posting with a follow-up article on New Year’s Day to get our Year of Speaking Kindly challenge properly underway. I will also regularly be sharing blog posts across 2015 about my own experiences with the challenge. I now humbly invite you to join this challenge, so that we may support each other, on a journey of self-exploration, mindfulness and increasing our Kindness in 2015. Please share the Year of Speaking Kindly challenge using the sharing buttons below. Thank you. Previous Post: On the Fifteenth Day of December . . .
Slamming others, criticizing, and complaining, seem to be the workplace norm. I have been removing myself from this arena for the past two years…………..but it’s laughingly challenging to maintain a conversation with anyone without this fodder. People don’t want to talk about their families or positive things! So I listen in silence (occasionally I remove myself) and send love and light their way. I love love love your positivity. This love energy spreads in ever widening circles. Thank you so much, that means a lot to hear that you are enjoying Kindness Blog. “Is it kind; is it necessary? If not, it’s best left unsaid.” = That quote has helped me many times, and when I struggle with the ‘if it is necessary’ part, I ask myself, ‘Is this about ego? Remove the ego and the problem usually vanishes. nice post, but they are all nice posts! Very, very good. What a great message! I love that you posted that. Whatever we want others to see in us, we have to be. Be nice and talk nice and people are nice to you. And if you have to speak up use kind words and an appropriate ton. Thanks for writing about this topic! I am excited (and terrified) to start this. Thanks for inspiring me! Thank you for sharing 🙂 Much appreciated! Happy days 🙂 🙂 let’s rock! It’s great to have you in the team. I think the line about it being “at least twelve months’ is what hit me the most. Like going for a whole year at speaking and thinking kindly of others isn’t a challenge because once you start and keep going, the first year is easy, keeping it going after the original end date is what it hard. Or is it? After all, you just spent a year doing it, why not continue a good thing? Pingback: The Year of Speaking Kindly | Goodspirational News! It doesn’t matter how often I challenge myself to do this I always fall down. Just last night my Teen said to me “Mum, I think you’re reading this all wrong” after I made a comment about something that someone had said. Hmmmmmm. I do try. What a fantastic and inspiring read, as the holidays are approaching. Thank you for this challenge, and Happy Holidays to you! Look forward to following your journey! Reblooging this on The Daily Junior Blog. We are up for the challenge. Thanks for the wonderful blog. We are reposting this from The Kindness Blog. We are taking the Year of Speaking Kindly challenge. We believe kindness changes everything. Happy Holidays everyone.